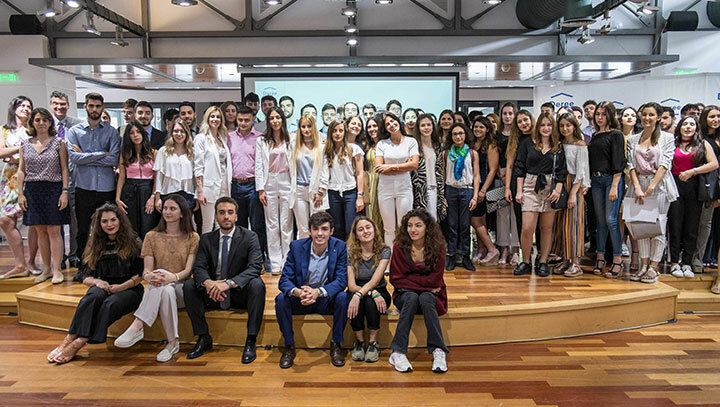 On Thursday, May 25, over 170 scholars, faculty and staff of the ACG community came together to celebrate the completion of this year’s Stavros Niarchos Foundation (SNF) Scholarship Program. President David G. Horner gave the welcoming remarks, discussed the road so far for the SNF Scholarship Program and the bridge the Program created between Deree and Greek public educational institutions. The President concluded his speech by congratulating all scholars for their achievements. Executive Director of Development, Mary Triantafillou, followed by introducing three scholars, Stamatia Tsampa, Andreas Moschovitis and Christiana Verdeli on stage who gave testimonials on their experiences as SNF Scholarship recipients. “I am more than certain that Deree will be here for you to help you blossom as it does for me. Let this experience (parallel studies) prepare us for a career in a globalized academia and job market,” said SNF scholar Stamatia Tsampa during her speech. 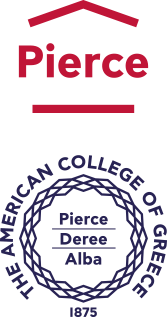 Deree’s Parallel Studies Program gives the opportunity to students to enroll for a minor at Deree, while concurrently pursuing a Greek state university degree. With the SNF grant, more candidates, with high academic performance, gain access to a broad educational experience and are able to equip themselves with tools to launch meaningful careers. With more than 270 scholars from thirteen Greek universities, the grant provides a wide range of career enhancing opportunities, including; exposure to a US-modeled educational system, enhancement of English proficiency, study abroad experiences, national and international internship possibilities as well as the creation of an employable resume. All scholars were later provided with Certificates of completion and the event concluded with a networking reception.